Vanitha Bhoopal is a professional Bharatanatyam dancer and choreographer based in Hyderabad. She has always been fascinated by different cultures, people, ways of life, food, history, and architecture. Her passion for travel was fuelled by frequent tours around the world that she took with her dance troupe during her college days. Along with her husband and friends, she recently returned from an amazing week-long trip to Israel and Jordan. Read on as she reminisces. 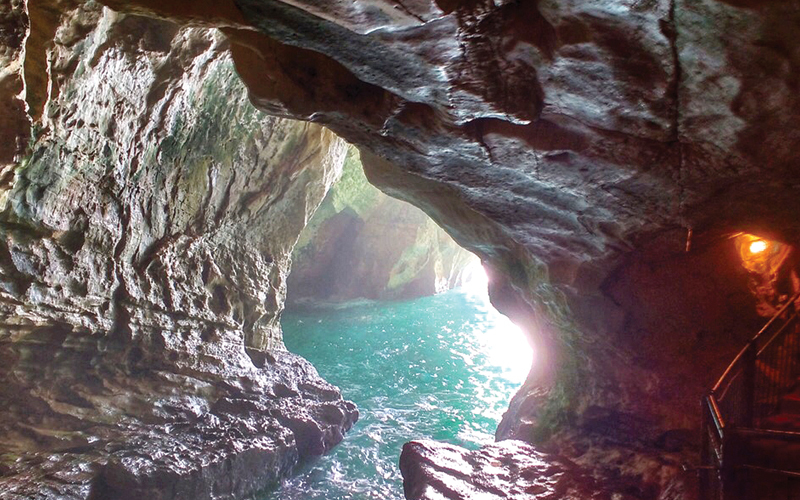 The trip to Israel was organised by a close friend to ring in his 50th birthday. Some of us, however, decided to extend the trip with a visit to Jordan. On the first day, a few of us history aficionados took a trip up north along the coast to Caesarea and Haifa, where we visited the immaculate Bahai Gardens and witnessed a beautiful view of the port town. 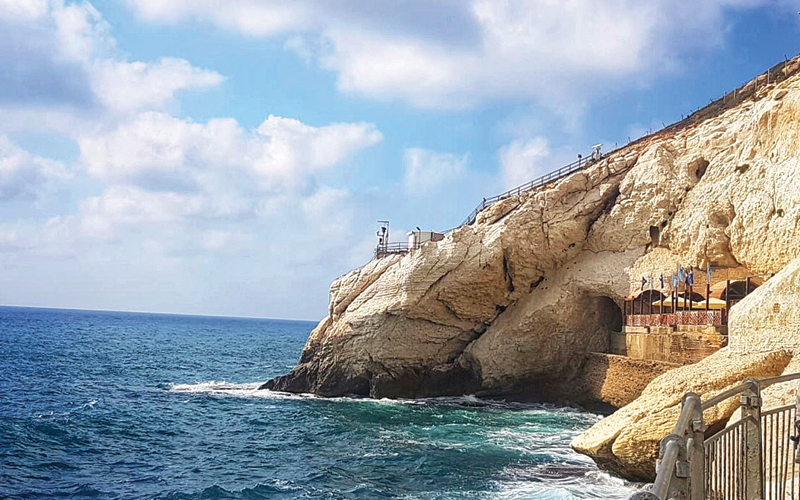 We also got to see the old town of Akko and Rosh Hanikra that have white cliffs, which open into natural grottos situated on the Israel-Lebanon border. We had a relaxed second day on Tel Aviv’s lovely beaches and a leisurely walk through the new part of town, which is a perfect juxtaposition of modern and ancient. The local food – including hummus, pita bread, falafel, shawarma, salads, and fresh seafood – was delicious! Tel Aviv is also great for its night-life, sprawling with pubs and a variety of restaurants. 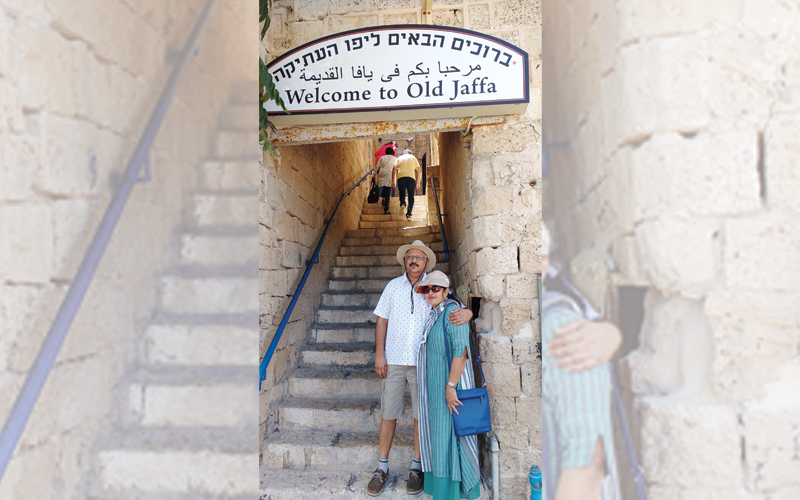 On the third day, we visited museums and had a chance to explore Jaffa, which was very quaint with its cobbled lanes, old fashioned stone houses, and cute stores displaying works of local artists on either side. The walk culminated at a very interesting place – the Wishing Bridge. This bridge has all the sun signs carved into the railings, and some locals believe that if you place your hand on your sun sign, look towards the sea and make a wish, it will come true. After this, we shopped at the city’s famous flea and camel markets. Jerusalem and Bethlehem were our next stops. We walked through the ancient fortified town in Jerusalem to the Wailing Wall, which provided some stunning views. This was followed by the solemn path that is said to have been taken by Jesus on the way to his crucifixion, and finally a visit to the church in Bethlehem that was built around the spot where Jesus was born. The entire day made for a very serene and invigorating experience. On the fifth day of our trip we went to the ancient Roman Fortress, Masada, located on a plateau facing the Dead Sea. A scenic cable car ride and a winding rubble path lead to the ancient ruins. 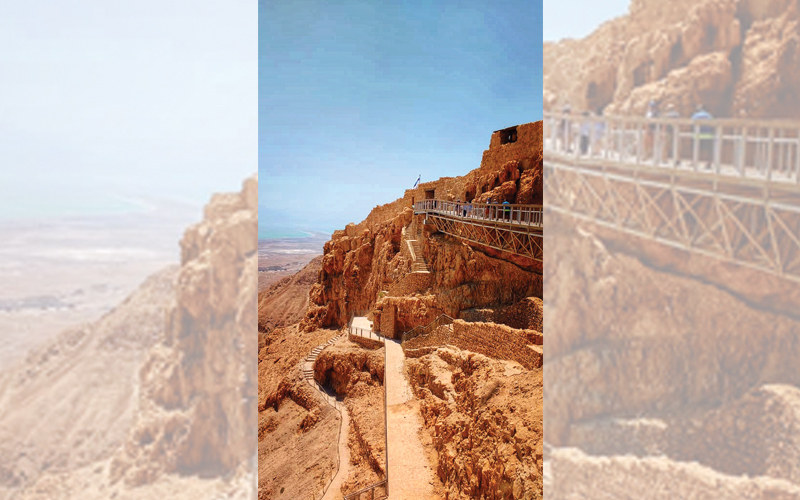 Besides being part of the Roman legacy, Masada is also famous for its cosmetics industry, with products made from the healing mud that is common in the area. We then visited the Dead Sea where we got to experience the cleansing and rejuvenating magic of a mud bath in the sea – an unusual but excellent conclusion to our adventure in Israel! Our accommodation throughout was in lovely boutique hotels, and I would certainly recommend this to other travellers. It’s very difficult to recommend only a handful of places, as Israel is truly a unique and fascinating country with rich history. But if time is a constraint, I would suggest visiting Jaffa, Jerusalem, Bethlehem, and the Dead Sea. An ideal time to visit Israel would be after September.